The love of Faruk and Süreyya won out, they are finally reconciled! Bride of Istanbul episode 21 was filled with emotion and tension, then a joy blast followed! Sureyya had a car accident on his way to court, and the consequence made her understand how valuable life is and that every moment should be lived with the loved one if there is real love. Sureyya decided to give Faruk a chance and their love finally triumphed! Faruk and Sureyya go to the mansion, where Esma Sultan celebrates her birthday with family, but Begun and Esma are shocked to see them again together. Esma Sultan's anniversary, who enjoys every moment of her birthday, caressing her nephew, ends when she sees Sureyya next to her in the garden and retires to the mansion. Sureyya noticed she is not welcome at the mansion and disturbed by Begum's discontent and frustration, there are some acidic replies between them. Upon leaving, Surreya tells Begun that they is waiting for her as a guest, but at a more convenient time. And Emir is forced to leave grandma's birthday, with his mother, who has an impulse of anger. Begum realizes that she is wrong in not controlling her nerve exits in front of her son and apologizing to Emir. Faruk kisses Sureyya and then goes to console his mother, but also to clarify that Sureyya will be his wife to death and will have to accept it. Ipek and her mother are beginning to get out of discontent with Esma, seeing how much attention she has given her nephew Emir. And after she tells Sureyya welcome in front of her husband, who is very careful with her, she retires, motivating that she needs rest. Fikret follows his wife and there is a little quarrel between them. Because Ipek does't want to give up Faruk's room, motivating that if Esma has given them, they will stay there, especially since that room is not a simple room, but who is the mistress of the manor. Ipek tries to rouse her husband against his brother, Faruk. While Begum complains of anger at home, Faruk is doing his best to make his wife forget about the way she was treated by his family at the mansion spending an unforgettable night in the bedroom. 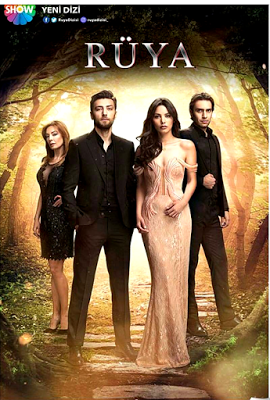 Murat is jealous of Koray, who filters with Bade and hears that he invites her to a birthday. He goes to his brother and tells him that he doesn't want the girl to suffer having a relationship with that rich man. But Osman notices the concern Murat feels about seeing a man making courtyard to the woman he loves. And reminds him that last time he made a big mistake about Bade and warns him that if he does the same better leave the girl alone. On the other hand, Esma goes to Istanbul to thank Galip for the gift and gives him an old handkerchief with his initial that she has kept since his youth and he is pleasantly surprised. Esma realizes that although she is wealthy and has a family, life without love isn't as precious, accepting that she lived by the rules just to not bother her family and the defunct husband. And the events that happend lately have made her look for the real Esma inside her heart, giving her a chance of true love. Galip, who cannot believe what he heard in the mouth of the woman she loves, is overwhelmed by emotion as a teenager and invites her to dinner and she accepts it. Dilara's dreams of moving to a new home are shattered! 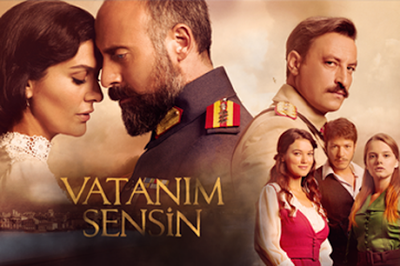 There is a quarrel between Adem and Dilara, because he doesn;t intend to move, as they have established and motivates that he wants to take care of his mother who does not feel good. But Dilara doesn;t understand and complains that he is being manipulated by his own mother. She also notices that her husband is so dependent on his mother who is afraid of a storm, that she watches her until she falls asleep and doesn't hesitate to make a new reproach. Sureyya wants her husband away from the mansion and helped by Akif makes a surprise to Faruk! Surreya is waiting for Faruk to fire the fireplace and after renewing theirs vows of love, they put their wedding rings on fingers. Esma's plan for on the oraganization of family dinner at Begün's home put Süreyya in a situation she has never thought of! Sureyya tries to adjust the misunderstandings between her and her mother-in-law, but Esma's action plan will put Sureyya in a situation she has never thought of. The fact that Esma has made radical changes in behavior has made her sons live in great fear and panic. Esma finds out that Faruk goes shopping with his son and immediately sets up a family dinner at Begun's home who doesn't know anything about the intention of the former mother-in-law. Faruk arrives with Emir at Begun's home and is shocked to see his family at dinner, except Surreya, the woman of his heart. Surreya gets to the mansion very enthusiastic, knowing she's going to have a family dinner, but she's disappointed to see the empty table and find out that the whole family is having dinner at Begun.